1st edition 2010 isBn 978-82-05-40858-6 translated By lynda Christiansen Cover photo: Caroline reistad Cover design and layout: avrio design, anne vines typeset: the sans light 9/13 pt paper: 130 g arCtiC volume White print: dimograf, poland 2010 for all enquiries aBout this Book ContaCt: gyldendal akademisk po Box 6730 st. olavs plass n-0130 oslo norWay www.gyldendal.no/akademisk • akademisk@gyldendal.no all rights reserved. no part of this Work Covered By the Copyright may Be reproduCed in any form of By any means – graphiC, eleCtroniC or meChaniCal, inCluding photoCopying, taping or information storage and retrieval systems – Without the Written permission of the puBlisher. biggest initiative to date. this publication represents the huge voluntary effort and strong professional involvement of many of the members. illustrations, and provided detailed information. have generously given economic support to the project and made this publication possible. may have made quite different choices and the end result would have been just as good. veiseth and Bjarne aasen. ingrid haukeland, reithe selection of projects. planning, and the quality of our outdoor environment in general. the countryside. the shaping of outdoor spaces and the cultural landscape has received remarkably little attention as a theme in norwegian professional literature, despite the fact that it affects us all. indeed, few ever consider the shapes and materials comprising outdoor spaces and the concepts behind these designs. vironment, which, to a far greater extent than previously, must anticipate the limitations set by nature. types of landscape. the scope of a landscape architecture project can vary from the design of the details of a playground to the formation of huge motorway routes and the administration of our cultural landscape. served for the elite, landscape architecture embraces our everyday landscape: those spaces to be enjoyed in-between, where we travel, contemplate or play. access to greenery and fresh air, as well as promote respect and understanding between different social classes. the establishment of such public parks towards the end of 1800s led to the new discipline of landscape architecture. environment, not least the diversity of plants as one of its most important materials, can be a deciding factor in the success or failure of a project. this dependence on the condition of the natural environment is one of the major challenges of the discipline, and also one of its greatest opportunities. such as safety, comfort, enjoyment and accessibility for all age groups, and at the same time it places great demands on artistic skill and knowledge of the natural sciences. the design of densely populated areas, towns, cities and the landscape. all these initiatives, together with a number of similar documents produced during the past twenty years, have contributed to drawing attention to landscape architecture as a key discipline in shaping the future of society. population now live in towns and cities. in eastern asia alone, urbanisation and the growth of megacities (cities with a population of more than 10 million) are a major challenge. increased demand for knowledge about the sustainable development of landscapes and cities in all countries. wegian landscape architecture and landscape architecture in the wider world is the theme of the third chapter, which presents a discussion with three landscape architects who are familiar both with norwegian landscape architecture and with the discipline internationally. tion, urban environments, social landscapes, and city parks. in each category some of the projects that have impacted on the development of the profession in norway are reviewed. ened environments, do not result in built projects. these types of project demand a more complete theoretical introduction and are not included in this book. develop and improve practice. the discipline develops and grows through an open and critical discourse. one way to contribute is to select and discuss best practices. this book is an effort to do just this, in the hope that it will provoke debate and discussion. CuLturaL LandsCape in transition the spectacular norwegian landscape has been both a strength and a weakness for norwegian landscape architecture. its “strength” lies in the fact that the value of this landscape is so obvious to everyone that it has been easy to argue in favour of investing resources to prevent its ruthless exploitation. this was an important reason why the development of norwegian hydro electricity led to a huge boost for the discipline in the late 1960s and the early 1970s. a “weakness” of the natural landscape developed because the notions of preservation and conservation, which formed the basis for this upswing, also served to stifle creativity in the discipline. this situation has now changed, however, not least due to a commitment by the norwegian public roads administration to high-quality road projects in recent decades. the two major projects, Lofast and oslofjord, have been ground-breaking in terms of the natural re-growth of verges right up to the hard shoulder of the road, in addition to preserving existing landscape, and providing a great driving experience. the national tourist routes projects akkarvikodden, hellelåga, and Ørnesvingen, focus on the landscape as an aesthetic object, something which we look at but are not a part of. fløitrappene in Bergen is also based on a romantic idea about landscape, while the project “environmentally prioritised roads” at vollen is characterised by more pragmatic and robust attitudes. this approach is also typical of the project at kvilesteinsdammane, which introduced a phase of repair that followed the major development phase of norwegian hydro electricity expansion. smøla vindpark represents the latest form of energy development in norway, and windmills will probably not face corresponding challenges in relation to landscape that damming and hydro electricity development did. tanum Cemetery and the haga golf Club are examples of suburban cultivated landscape, which is often about facilitating conservation through active land management. the sami parliament project represents a moderate and subtle approach to that magnificent landscape, and the goal of this type of project is to make interventions invisible, a tradition based on the best of norwegian cultural landscape management. 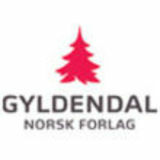 norske turistveger, akkarvikodden at reine in Lofoten, heLLeLÅga on the heLgeLand Coast and Ørnesvingen at troLLstigen in geiranger Completed: 2005 – 2006 Commissioned by: statens vegvesen turistvegprosjektet nordland/møre og romsdal Landscape architects: Landskapsfabrikken by inge dahlman (akkarvikodden and hellelåga) and smedsvig Landskapsarkitekter (Ørnesvingen) architects: nordplan as (toilet building, hellelåga), manthey kula ans (toilet building, akkarvikodden), 3rw arkitekter (Ørnesvingen) and ingrid torkildsen (akkarvikodden) artist: may eikås Bjerk (Ørnesvingen) Contractor: mesta as and Christie and opsahl as (Ørnesvingen) Consultants: fredriksen as, node rådgivende ingeniører as photos: arne o. moen, steinar skaar, amund Johne, inge dahlman, roger mathisen, arne smedsvig published inter alia in Byggekunst no. 8, 2006, Arkitektur N no. 1, 2009, and in a variety of publications and websites of the department of public roads and rail transport, also in both exhibitions and publications of norsk form called Detour: Architecture and Design along 18 National Tourist Routes in Norway. some of the most spectacular scenery in the country37. high-tech architecture has been chosen for most of the sites, and has contributed to a form of “urbanisation” of nature. many of the rest area projects, however, have managed to highlight and focus on existing natural environments and landscape attributes in a way that responds to the modern tourist’s desire to experience something more - a sort of “added value” to the travel experience. three of the projects are presented here: akkarvikodden, hellelåga and Ørnesvingen. the national tourist routes project is essentially a project of limited scope, both financially and in terms of traffic volume, and has little significance in relation to other activities in the department. it is interesting that it has attracted so much attention, both nationally and internationally, due to the value of the landscape itself, rather than the design of the various picnic spots. the three projects described here show three different approaches to the task. Ørnesvingen offers a break on a difficult stretch of road with hairpin bends, yet a landscape that is magnificent in every direction. the design and materials used, wooden decking, benches of white concrete, and structured waterfalls, seem to send a soothing urban message that says: “yes, we humans are in control.” heLLeLÅga differs from most other picnic spots on the national tourist routes (nt) series in that the design here invites a greater degree of contact with nature. visitors can walk down the long stairs and dip toes into the water, or sit out on the rocks and enjoy the silence and the view over the fjord. Both the near and distant landscapes are in focus at the same time. akkarvikodden is the most meditative space. the subdued design emphasises that it is a public space, a beautiful place to stop and take a break. But there are thousands of other equally beautiful places, and the important thing is to find peace and harmony in one’s own inner landscape. a bench on a patio beside the fjord between the steep nordland mountains is a reminder of this. embankment wall extending across from the pavement of Schweigaardsgate to the walls of the buildings facing onto the square, and traversed by Munkegata which slopes through the site. These three levels have different contents and features. The upper level is divided into two parts, a market and an apple orchard. The market area has a hard surface and is part of the street space of Munkegata itself, with room for outdoor seating at the cafe on the corner and bicycle stands, whereas the apple orchard is bounded by an 80-centimetre double-sided wall that separates it from traffic. The apple trees provide lace-patterned light effects on the green grass at this level, with beds of rhubarb and hops, the latter climbing up a 7-metre high wire pergola to create a green wall. On the next level is gravel, a place for playing and different activities. The street furniture is simple, consisting of three sculptured seats and an oak bench mounted on the wall backing the apple orchard. A delicate ceiling made up of 64 small lED lights covers the span between Schweigaardsgate to the north and across to the houses in Munkegata, which gives the space a different dimension and is particularly attractive in the evening. The play of light is regulated from a box in the square. The lower level is an open lawn for picnics, sunbathing and ball games. The name of the street, â&#x20AC;&#x153;Munkegata,â&#x20AC;? translates into Monk Street, and together with the medieval history of the area has provided inspiration for the design. Motifs from monksâ&#x20AC;&#x2122; gardens have been used for the vegetation, and plantings include herbs, wild flowers, iris and roses. The stone labyrinth on the lawn widely used by children in the area is also a theme copied from the Middle Ages. Universal design and accessibility have been an important concern in the project. All levels of the park have ramps from both sides, and Munkegata which traverses the park is made up of cobblestones inlaid with large, smooth sheets of granite, so that everyone, either on wheels or on foot, can use the park. Munkegata is a small and uncomplicated project, but it has added surprising and poetic qualities to an everyday urban landscape. to enhance the appearance of a wooded forest, and even though the buildings are too large and dominating to be hidden in the trees, the school nevertheless allows youngsters and the local community genuine contact with nature. 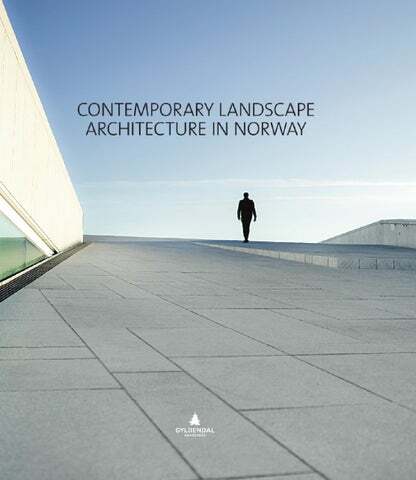 A beautiful book with the best of Norwegian landscape architecture the last 20 years - in writing, drawings and pictures.